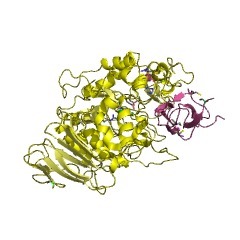 Alpha amylase inhibitor inhibits mammalian alpha-amylases specifically, by forming a tight stoichiometric 1:1 complex with alpha-amylase. 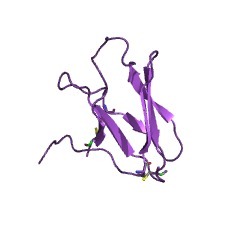 The inhibitor has no action on plant and microbial alpha amylases. 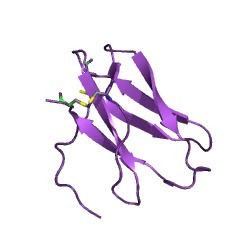 Alpha-amylase inhibitor inhibits mammalian alpha-amylases specifically, by forming a tight stoichiometric 1:1 complex with alpha-amylase. 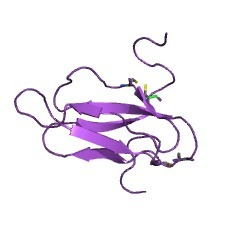 The inhibitor has no action on plant and microbial alpha amylases. A crystal structure has been determined for tendamistat, the 74-amino acid inhibitor produced by Streptomyces tendae that targets a wide range of mammalian alpha-amylases [(PUBMED:14501112)]. 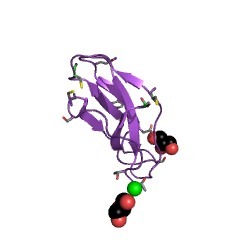 The binding of tendamistat to alpha-amylase leads to the steric blockage of the active site of the enzyme. 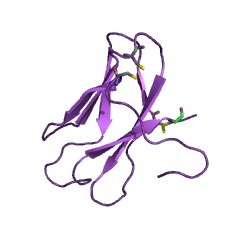 The crystal structure of tendamistat revealed an immunoglobulin-like fold that could potentially adopt multiple conformations. Such molecular flexibility could enable an induced-fit type of binding that would both optimise binding and allow broad target specificity. 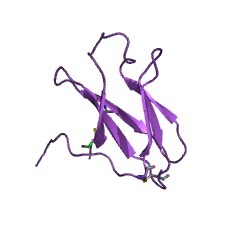 There are 98 A_amylase_inhib domains in 98 proteins in SMART's nrdb database. Taxonomic distribution of proteins containing A_amylase_inhib domain. This tree includes only several representative species. The complete taxonomic breakdown of all proteins with A_amylase_inhib domain is also avaliable. Click on the protein counts, or double click on taxonomic names to display all proteins containing A_amylase_inhib domain in the selected taxonomic class.